As I strolled around the streets of Ballimaran, relishing the delicious taste of Habshi Halwa, I came across an old restaurant by the name Manzoor Hotel, giving us the feel of a dhabha. This hotel was established by a man named Zahoor Ahmed, who like us fancied about food to such an extreme that he made it his passion to start his own hotel sixty-seven years back. He was a cook by profession before, and his love for food made him start his own little restaurant which is very famous in Ballimaran. The initial years of Manzoor Hotel saw them serving only nahari, nali and bheja (all buff dishes), but in the last ten years, there has been an assortment in the menu by including chicken, fish, and vegetarian options as well. 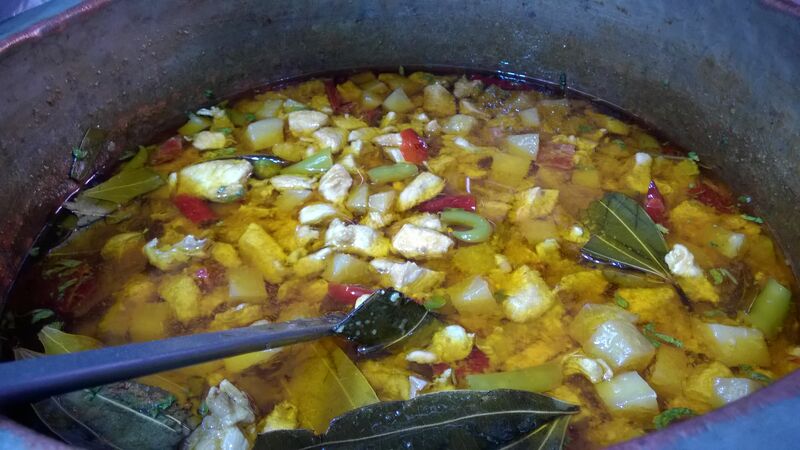 The Hotel has opened a branch in the same lane, in fact very much opposite to the main restaurant, serving a range of delectable and appetizing lunch and dinner to the people around. 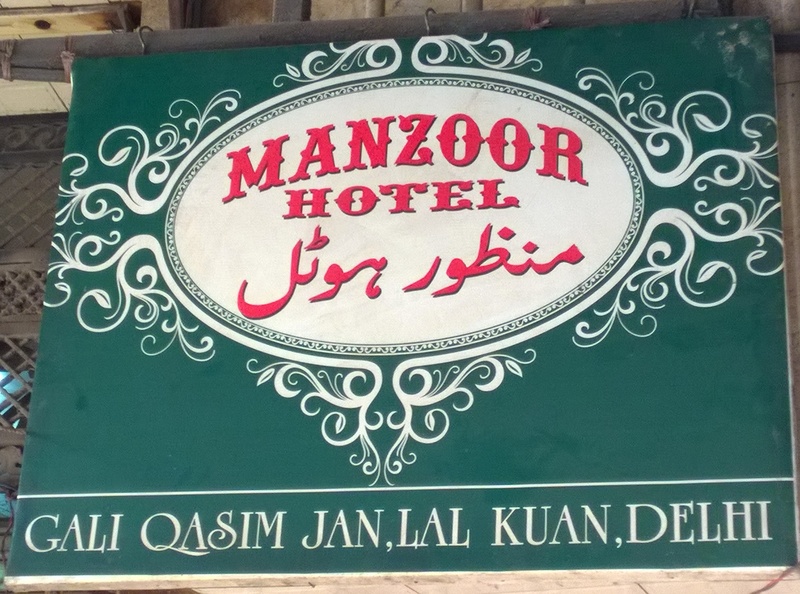 Manzoor Hotel is now managed by Zahoor Ahmed’s two sons, Saim and Sarim. Sarim has been helping his father and elder brother in the business for the past three years. The restaurant is famously known for all its dishes which are served with khamiri roti, which is made with white flour mixed with yeast and baking soda. 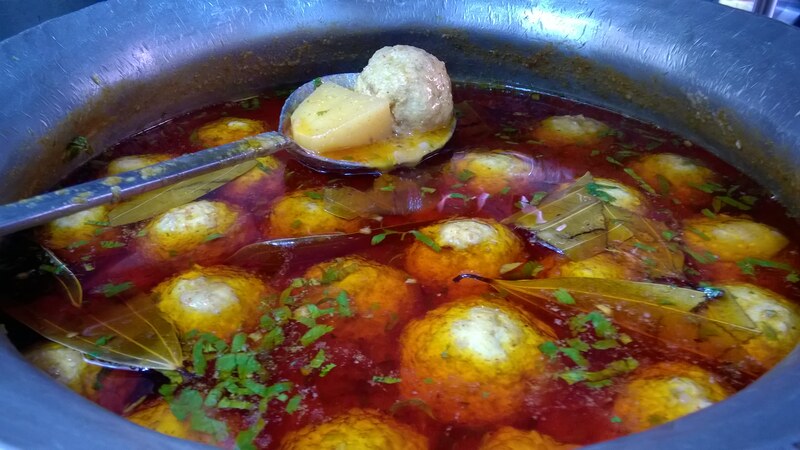 During the day, you will get a wide variety of dishes to choose from, which include: buff korma, chhole keema, bheja, dal fry, egg curry, chicken stew, aloo matar paneer, chicken keema, fish curry, chicken kofta, chicken korma, and chicken rizala (cooked in milk and cream). These are mouth-watering and exquisite dishes that one can order and treat and savor their palate with piquancy, all ranging from Rs. 25 to Rs. 40 per quarter plate. You can easily have a meal within Rs.250. In the evenings, they serve the most famous dish – nahari, nali, and bheja which can be mixed and fried together in Amul butter on demand. The shop timings are from 9 a.m. to 11 p.m. Located at the entrance of Gali Qasim Jan, opposite Hamdard Gali, Manzoor hotel is a must-visit place for nahari, nali and bheja.